Chapter 3 deconstructed the difficult scenario of a loved one being attacked. 1.No war has ever been justified because the nonviolent alternatives have never been exhausted. 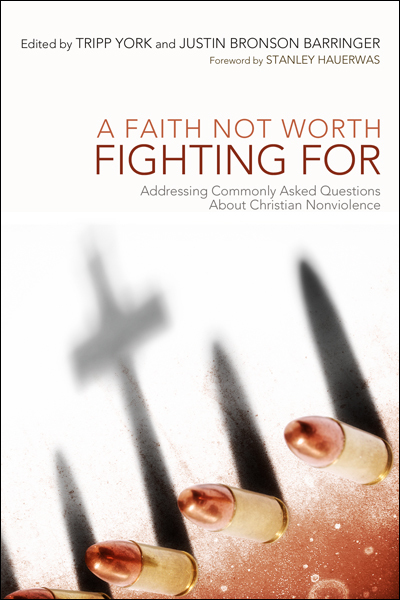 2.All disputes can be settled through nonviolent means, for example, by truthful, rational discourse and compromise. 2c. Violent action does not yield solutions; it only exacerbates injustice and suffering (because violence is reckless and cyclical). If one takes these claims, then we choose pacifism on the basis that it can always provide a better solution than violence. Brimlow rejects this because it’s simply not true. Violence ended Hitler’s reign in a way nobody argues peace could have. In other words, Brimlow says we shouldn’t choose pacifism on the basis that it works better in fighting violent powers. This is why Bonhoeffer, a Christian pacifist, volunteered to deliver the bomb to kill Hitler. He didn’t end up doing it, and the plan didn’t work anyway, but it easily could have worked, and if it did Hitler would have been stopped, and his regime would have likely ended sooner. So what about Hitler? Brimlow calls this Hitler obsession the “Hitlerization of politics” in which “Hitler has come to signify the epitome of evil.” This actually harms the discussion. 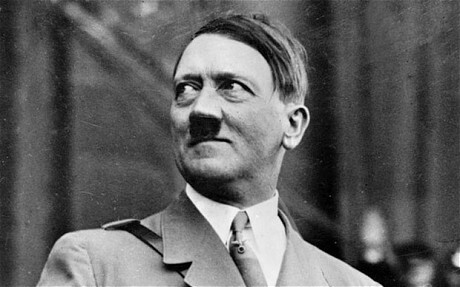 We see Hitler as a monster, not as a human agent in the world just like any other. Holocause survivor Primo Levi tells us that the Nazis were just like his people, humans making decisions. They are workers of a state that tries to justifies its actions under an assumption that violence is necessary to preserve its “interests”. Brimlow reminds of of how Hobbes’s Leviathan describes the reality of state, that “a state of war is not restricted to the actual use of violence in battle but must also include the willingness to engage in violence even when one is not actively fighting[…]the threat of the sword underlies every statute, every treaty, as well as every interpersonal relationship.” I think Greg Boyd will address in Ch 7 the importance of the difference between the world kingdoms and Heaven’s kingdom when it comes to force. “We confront the powerful evildoer with love and truth; we resist the temptation of power and demand that the evil end; we try to alleviate the suffering of all. And given that we are dealing with a powerful evildoer, the result is that we will fail. When he says “fail”, I think he means that we will fail in accomplishing what violence can. For a man who does what is right and is squashed cannot be said to be a failure because he is squashed. That is world-thinking. Still, Christians born in privilege and freedom will have an allergy to this lamb-to-the-slaughter way. Were not taught to take seriously “love your enemies and do good to them without expecting anything in return” (Luke 6:35). We’re not taught carrying the cross, carrying an instrument of execution on our shoulders, has anything more to do than giving up bad habits and telling people you’re a Christian. “We have not been taught how to die,” he says. We’d rather others die to keep us from dying. And we are the first to call them “like Hitler.” It makes things easier for us. Because Hitler is a monster to us. And monsters aren’t human. And we don’t have to ask about how to treat them. This isn’t too far from the mindset that created the Holocaust. There’s an old hymn my home congregation sometimes sings: “What will you do with Jesus?” I believe we should ask this question before we ask what we will do with anyone else on planet earth. This entry was posted in Books, Faith, Peace and tagged Bonhoeffer, faith, hitler, kill, monster, nazis, pacifism, peace, peacemakers, Violence, war, world war II. Bookmark the permalink. I don’t find it fair to drag Hitler into the conversation, as if he is the most evil person who ever lived. Given, he was a bad dude but he was no Genghis Khan, Idi Amin, Emperor Palpatine, et al. Few Christians consider that Romans 13 was written not only after Claudius expelled the Jews but in the height of Nero’s reign. What about the United States? Was Manifest Destiny evil? Were dropping bombs on Hiroshima and Nagasaki evil? What about U.S. foreign aid used to prop up some evil guys that make Hitler look tame? It’s hypocritical to single out another brutal dictator when many in the world view America as the oppressor and not the deliverer that we view it as. There are ultimately too many injustices in this world that cannot be fixed by either violence or nonviolence resistance. We try to put a dent in them through Christlike living, but it is ultimately God, the righteous judge, who will put evil to rest.